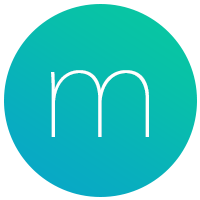 If you're not already familiar with Momentum's Mantras feature, we suggest that you review our Mantras guide first. The Pin Mantra feature lets you set one mantra to display for the entire day. The mantra Frequency option lets you increase or decrease the rate that your Mantras and daily greetings display on your dashboard. The Pin Mantra and Frequency options are exclusively available to Momentum Plus members. Upgrade to Plus today to start using these features, and all of the other exclusive Plus member benefits! Before pinning or adjusting the frequency of Mantras, make sure that Mantras are enabled. Mantras can be turned on or off in the Mantras section of Momentum's Settings ⚙️, just click the Get Started button or the switch next to Enable Mantras. Pinning a mantra makes it so you only see your mantra and not your default greetings (e.g. “Good morning, Sarah”). To pin an active mantra, hover your mouse cursor over the mantra at the center of Momentum, click the ... that appears to the right, and then select the Pin option from the drop-down. To Unpin the active mantra, click the ... again and then select the Unpin option from the drop-down. To pin a mantra that isn't active already, visit the Mantras section of Momentum's Settings ⚙️, click one of your My Mantras, Favorite, or History collections, hover your mouse cursor over the mantra that you want to pin, and then click the Pin icon that appears to the right of it. The Mantra Frequency options let you increase or decrease the rate that your Mantras and daily greetings display on your dashboard. To adjust your Mantra Frequency, visit the Mantras section of Momentum's Settings ⚙️, click Settings at the top right corner of the Mantras Settings menu, and then select one of the options: Rarely, Sometimes, or Always.